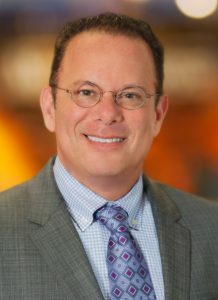 Philadelphia, PA (Law Firm Newswire) October 29 2018 - MyPhillyLawyer managing partner, Dean Weitzman, has been selected as a recipient of the 2018 Who’s Who in Injury and Injured Workers Advocacy Honor.This initiative annually honors 24 top Philadelphia injury and workers’ compensation attorneys based on his or her representation and advocacy with distinction on behalf of injured workers and injury victims. As part of the 2018 Who’s Who in Injury and Injured Workers Advocacy Honor, attorney Weitzman receives a Citation Certificate from Philadelphia’s City Council, presented to him at City Hall. In addition, he is to be featured as part of the Who's Who in PhillyLabor Radio Show and included on the 2018 Who's Who In PhillyLabor Injury and Injured Workers Advocacy List, promoted to the Philadelphia area union community.